The digital world has revolutionized on how you do your business and email marketing campaign. Email marketing can be one of the most effective ways to reach customers and to offer your special deals and information. The strategies in this article can really help you in your email marketing campaign and give life to your business. If you wish to start email marketing, make sure you have the permission of your recipients to send them messages. This reduces the chances of your emails being marked as spam. Before sending any emails, be sure to proofread them thoroughly. Every email and newsletter you send out should be error-free. Before you send the message, test the layout of the email so you can ensure everything shows up as intended and must ensure that every links are working fine. You can also read my article on how to create an effective newsletter. Always engage you customer using the subject line of your email, which will engage your reader’s attention the moment your emails lands in their inbox, otherwise your mails will go into their trash. So, always try to make interesting and put spicy creativity in your subject lines that will make your receiver open and read your mail. 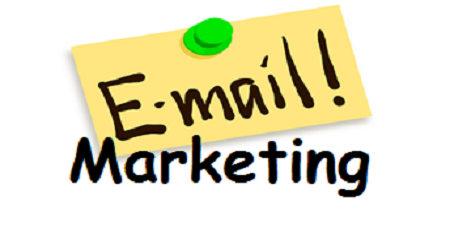 One marketing email per week should be sufficient to maintain communication with your customers. Your customers often will get several messages a day and are very busy in their lives and sending multiple email will quickly disregard your message and will trash your email. Always try to respond your emails quickly and if you take too long to respond or answer your customers, you may miss a bunch of opportunities. If you provide good content that is free, be prepared to get responses to it from your recipients. You must be prepared and available as much as you can. Your emails should also be designed for mobile devices, in addition to computers, because use of mobile devices has been increasing and people can check your email in mobile devices too. If your messages are difficult for your recipients to read on their mobile devices then it more likely to delete your email without reading your content. 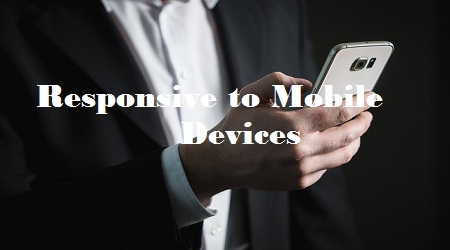 You can also read my article on Importance of Mobile optimized websites. Always notify your ISP of your email marketing intentions in advance, to void any complications and treating your emails as spam. If some of your unhappy readers reports about your emails, this will give your ISP the head’s up that your marketing efforts are legitimate. Your ISP will also suggest an upgraded account and will make your email marketing operation go easily. Don't get yourself in trouble by not getting permission and that is spamming and might get penalized for it as well and that could damage your business. When you get permission to send your emails, you will create a positive relationship with your customer and will keep coming back to your website. Plan out your emails in advance. Take into account that you are human, and that you will make mistakes when creating an email. Keeping this in mind, spend enough time to review, revise and edit your emails before finally sending it to your subscribers. This can help you avoid many mistakes in your emails. Make your emails focus on your audience and not for yourself. Your customers are the ones that make your campaign a hit or a failure, be a great resource to them and try to do what you can to include feedback from them. This can be with polls, comments, etc. Getting them engaged may help you build beneficial relationships for your business's future. It is a proven fact that the internet has brought about many revolutionary changes to the business world. Email marketing has become one of the easiest and most effective ways to reach customers and offer your subscribers with deals and updates. Use the tips and hints from the article above to make sure that your emails give you and your customers what they want.